Mediation as a Healing Art: A Conversation with Daniel Benor, M.D. Daniel J. Benor, M.D. is a wholistic psychiatrist and mediator who includes bodymind approaches, spiritual awareness and healing in his practice. He is the author of Healing Research, Volumes I-IV, a Founding Diplomate of the American Board of Holistic Medicine, Coordinator for the Council for Healing (a non-profit organization that promotes awareness of spiritual healing), and editor of the International Journal of Healing and Caring (www.ijhc.org ). On July 21 and 26, 2005, Linda Lazarus, the Spirituality Editor of Mediate.Com, interviewed Dr. Benor about the relationships between peacemaking and healing. Linda Lazarus (LL): You are well known for your work involving healing. Please tell me about that work. Dr. Daniel Benor (DB): My training is in psychology, medicine, psychiatry and research. I have also explored a spectrum of self-healing and bioenergy healing approaches. What I have come to realize is that people have many levels on which healing can occur. And I have come to refer to myself as a wholistic healer – meaning that I help people with problems of body, emotions, mind, relationships with other people and the environment as well as with their spiritual life. DB: The word “healing” comes from the German word “haelen”– to make whole. So healing helps people find those parts of themselves that can restore wholeness in their lives. LL: How does healing work? DB: Healers work on many different levels. For example, surgeons and chiropractors focus on healing the physical body. Healing can also occur at the level of mind or emotion through psychological interventions. For example, a person who has had an abusive relationship with a parent, spouse or employer may have difficulty asserting his or her needs and rights in the workplace or in later relationships. So, in that situation, a healer would help the individual return to wholeness by helping to clear the dross and the scars created by the old trauma. LL: As you know, this is an interview for Mediate.Com and most of the people who will be reading this interview will be mediators. Have you ever mediated? DB: Yes, I do mediation in family therapy and also mediate in the hospitals and clinics where I work. LL: In your view, in addition to healing individuals, is it possible to heal relationships between people – to help them move from a place of conflict to one of cooperation? DB: Absolutely. Healers can work on more than one person at a time. A healer may work on a couple, a family, an institution, or a large group of people. In family therapy, I often have warring parties come in who have been embattled for years. They know each other’s weak points and tend to harp on them because they live in intimate relationships within the family and they feel locked into these relationships. They feel that they do not want to, or cannot, leave because of economic, religious, or moral reasons, but they are deeply unhappy with the relationship. Their patterns of behavior are horrendous because they have been established over years of intimate relationships. And it is tremendously challenging to get them to change, but they often do. LL: So do you consider mediation to be a healing art? LL: How does a mediator heal relationships between people? DB: There are a number of approaches for healing conflicted relationships. First, it is important to have a neutral space in which people feel safe and can acknowledge previous conflicts and also discuss other matters. Oftentimes, people are hurt and angry and get stuck in the past. As a result, they are unable to stay in the present moment where there is a potential for healing the relationship. It is even harder for them to look at a different future because they are so stuck in the hurts and the angers of the past. By creating a neutral space, the mediator invites the participants to interact in a different way, such as by maintaining a respectful dialogue. Many times, people are shouting at each other because they feel unheard themselves. So, I allow each of the parties to speak and to have their full say without interruption and then check that the other person has correctly heard what was said. When all the parties have spoken and been heard, the atmosphere often changes dramatically. So doorways may be opened just by allowing people to state where they are coming from. 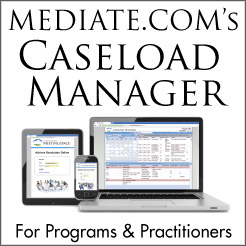 A mediator can also serve as a model for the parties involved in the conflict. If a mediator can demonstrate a dispassionate and loving way of being with other people, the parties can copy that conduct and use it in their relationships. By bringing the parties together in the same room and maintaining a calm atmosphere, the mediator may be giving these people an opportunity to see the other person in a light that is not negative, a light that is potentially a healing light because it is positive in nature. It is also important for a mediator to learn to look behind anger to see the hurt that leads people to be angry. A mediator must also know that it is possible to relieve the hurt and relieve the anger. If a mediator believes that it is possible to let go of anger and bring about healing, he or she is able to invoke hope in the people involved in the mediation process. LL: What can a mediator do to develop his or her healing abilities? What practical steps can be taken? DB: Those are excellent questions. The first thing that a mediator must do is to clear the vessel through which the healing flows. A mediator must find a place of love, healing and acceptance within herself or himself, and practice being in that space when alone and with other people. To do that, it is necessary to quiet oneself – so meditation and prayer are really helpful. Meditation and prayer also help a mediator to develop the discipline needed to control his or her thoughts and emotions during a mediation so that he or she is able to focus on holding a healing intent and maintaining healing interactions. Meditation and prayer are also useful tools for developing detachment and not being tempted to take sides in a mediated dispute. 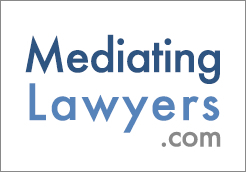 Linda Lazarus is a mediator, trainer and lawyer in private practice in the District of Columbia. Ms. Lazarus is listed in the most recent edition of Who's Who in American Law and also teaches yoga, qigong and meditation at Gold's Gym.